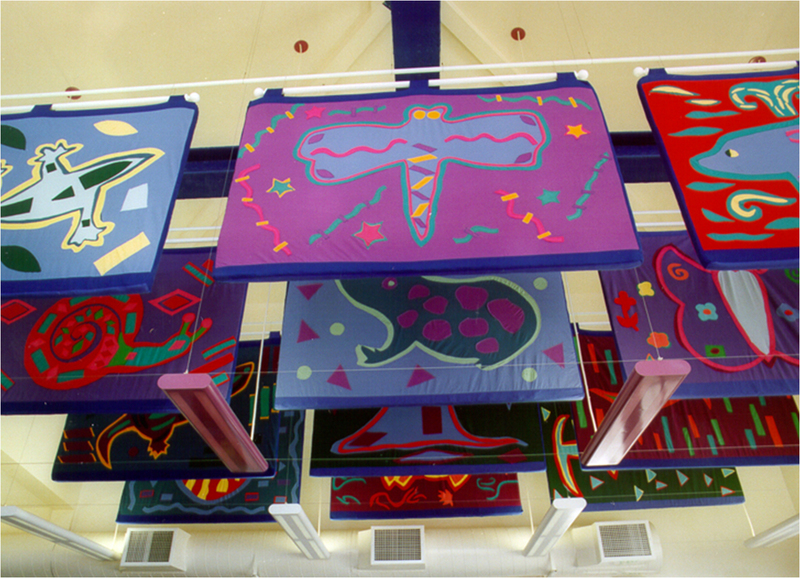 A series of twelve banners featuring butterflies, fish, lizards, and snails in a rainbow of colors. Mola textiles of the Kuna Indians inspired the project. 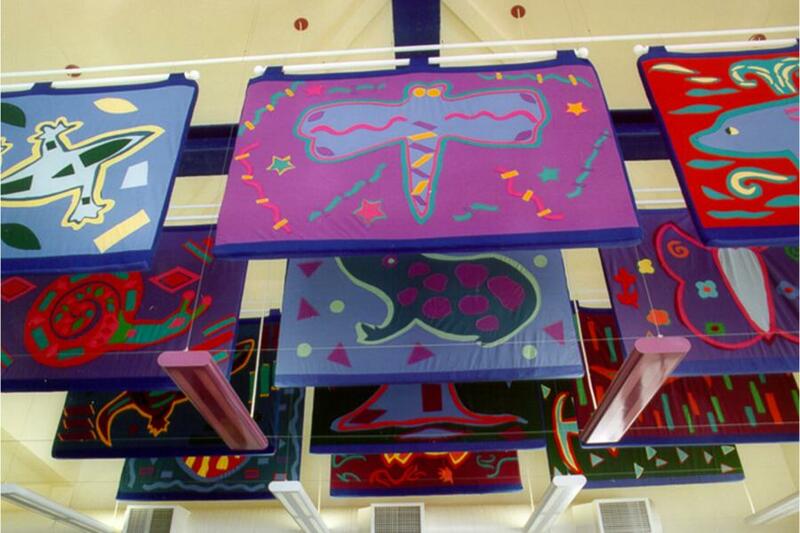 Colorful cut-paper images created by the students were enlarged to a four-foot by seven-foot format, appliquéd in fabric, and filled with a fiberglass insert. Not only do they provide a lively welcome to all who enter, but they also solve an acoustical problem in the administration building.